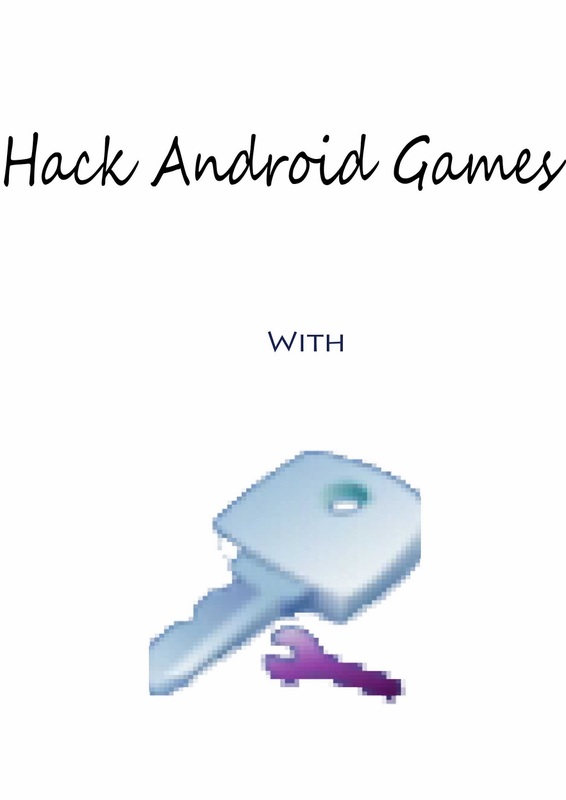 After getting so many feedbacks from my valuable subscribers to post some android hacking tutorials, here I'm with my first post for android hack. This post is for those who don't want to spend $$$ for buying coins or related items on games (especially on games like temple run, subway surf etc.). The first and important thing you have to do is root your phone. If you already, proceed below for further details. Note: This tutorial is for educational purposes only! I'm not responsible for whatever risk you take in hacking any applications. For this you have to download a software called Game Killer. Download it from the link provided below. By using this app, it is very easy to crack. But it cant hack all games. Of course, it has some limits. 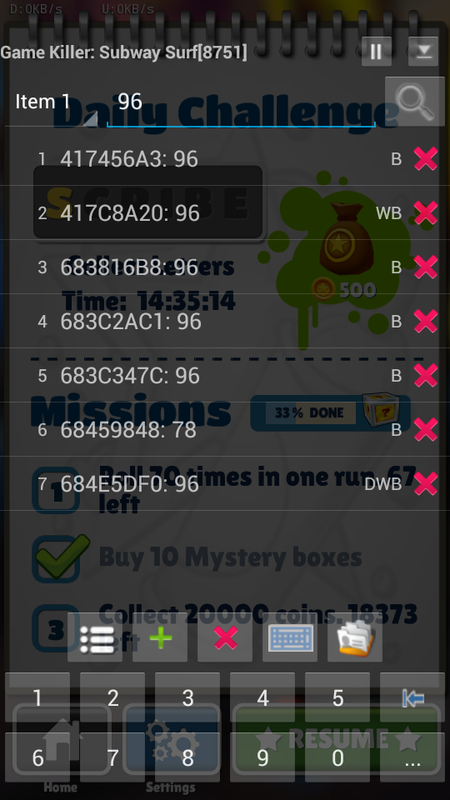 For hacking, there should be some "value" like score, distance, coins, money etc. You cant hack things like fuel, speed etc, Also, you cant hack multi player games and games which cannot play offline (of which scores are saved on the game server). Now, Open the game you want to hack and start playing. 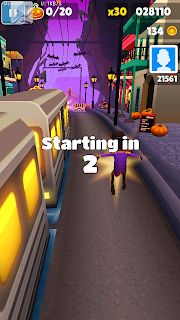 Tap the Game killer icon on the left top to open game killer window. Enter the score at that instant to the search field (data type: AUTO IDENTIFY). 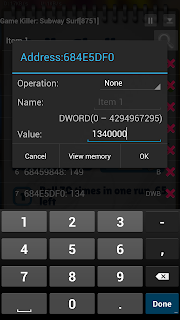 Now you will get a list of memory locations where the similar value is stored. At the first try, there will be lacks or crores or memory location which has the same value. Resume play and play for some time for at least a small change in the score has occurred. Now play again and ensure that it is the correct memory location. Now you know what to do! Just edit it to set into desired value and enjoy!!! Note: Sometimes there will be more than one memory location to store the score. Of these sometimes one is the actual location to store the score and others are just dummy values. Patch each of them and try. Sometimes you may need to patch all these to crack the game. It's a Trial and error method. If the game developers are real geniuses, they may not store the game score as is. They do some algorithm to the score and store it on memory, sometimes even they encrypt it. Or they may add or subtract a specific value from the score to store. These are their tricks to avoid hacking. Still they can be hacked. I have hacked Dr. Driving by this manner. Anyway I'm not going to explain that here. This is just for educational purposes to hack simple games. If you still want to learn that, comment below. Here are some Screenshots of which I have hacked Subway Surf. How you managed to hack Dr Diving with game killer..please kindly explain ! HEY CAN U HELP ME IM STUCK AND NOT SURE WHAT TO DO? Sir,can you unlock expired items in an android game using this app? I had date glitches my game...accidentally I had unlocked one expired character...I just shouted all over in my room...but sadly I want to unlock another character....please help me sir. Can u please give me a link of the list of games that Game Killer can hack? Thanks. 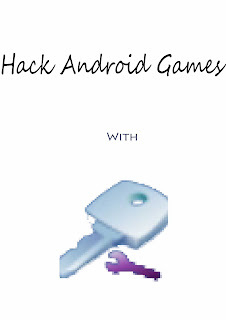 Using Game killer you can hack almost any game which works offline. Only the method is different. Some may be easier as i explained in the post. But some may be tough. What is the zipfile password? 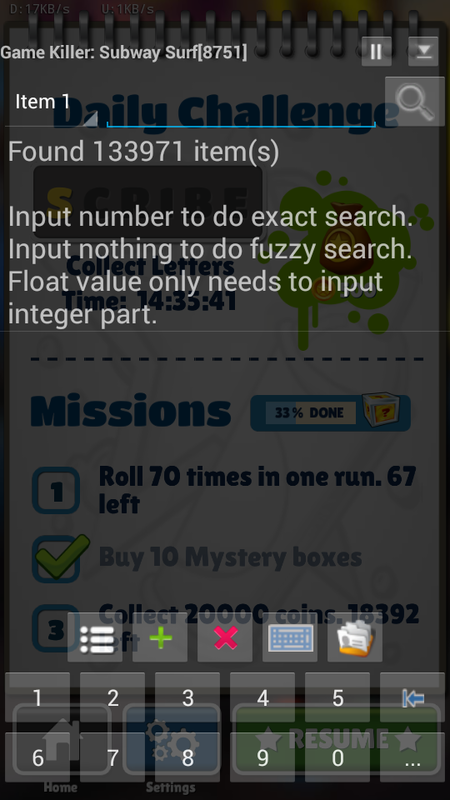 there is an option to get search all values in memory. use that option. keep playing and increase the score. 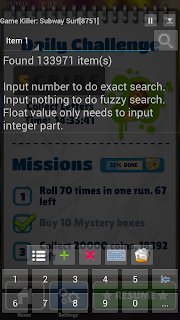 Then find all values which increased. repeat the step till the results gets within 10. then try changing every values. this should work in most cases. If still not, contact me on fb page. I will guide you. 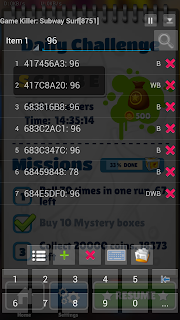 Can you please help me keep my extended credits and coins on bingo blitz? Every time I exit the game the credits and coins went back to the same low amount as before. Please help 😥 I have tried it and it worked but how do you keep the same amount when you exit the game? can work with empire four kingdom? I know you did say the game killer works on all apps from google but I tried it on Bingo Blitz. It wouldn't work. Please text me whether it works or not. I would appreciate it. Thankyou. Please help me ... How about for online games? when adding the value in clash of clans ..
so what i want to do for hack clash of clans ? Am tryin to hack best friends but it wont work.. can help plz !!!! pleaase , how can I use "save list " and "load list" ???? I'm trying to huck ' Explorers: Skull Island' but nothing happens, what can i do? 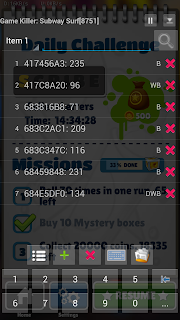 I'm trying to hack Angry Birds Epic. When I perform my first search I get no results. Is this normal? does it work on Empire Z? 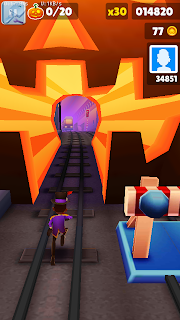 Sir can hack more graphics games such as asphalt,shadow fight.